Hundreds of specimens from the mammology collection are displayed during this event. 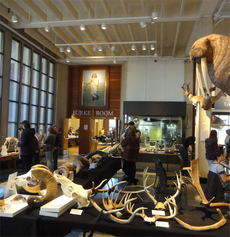 Hundreds of visitors from 1 to 85 years-old roamed the museum all day to see the extensive mammals collection and participate in fun, educational activities. 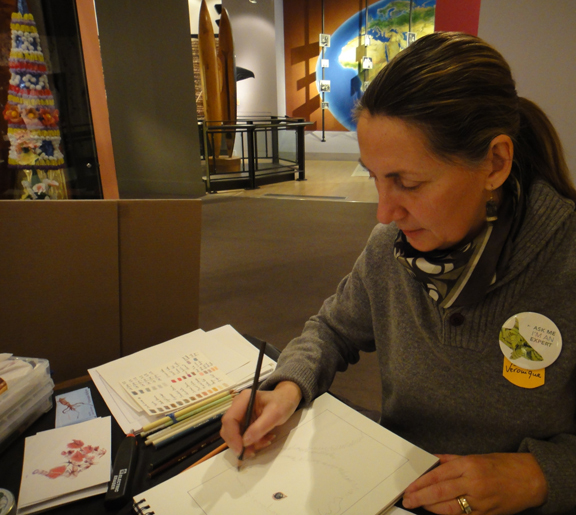 Among them, artists from the Guild of Natural Science Illustrators Northwest interacted with families, children and other curious minds while drawing out-of-the-ordinary specimens. Kenroy Elementary School, East Wenatchee, WA. Impromptu discussion with curious second graders - I answered questions about what scientists do and how they see the world around us. 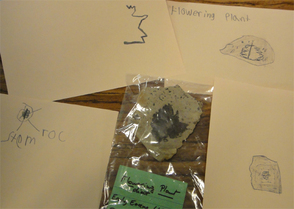 We also studied the beautiful Eocene fossils that I had collected that morning in Republic, WA. And the students made detailed observations by drawing them. 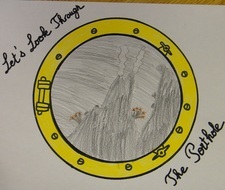 We explored life in underwater volcanoes and took a virtual dive to the seafloor. 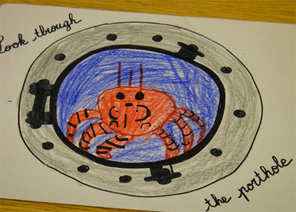 Then, we took time to draw the unusual creatures found around deep sea vents. I facilitated 4 arts and sciences workshops for talented 4th and 5th graders in the School Overnight Program at IslandWood. 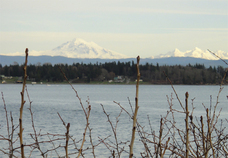 The Nature Learning Center located on Bainbridge Island is inspirational with a beautiful campus in the woods and an amazing cohort of graduate instructors leading students to learn about the environment . 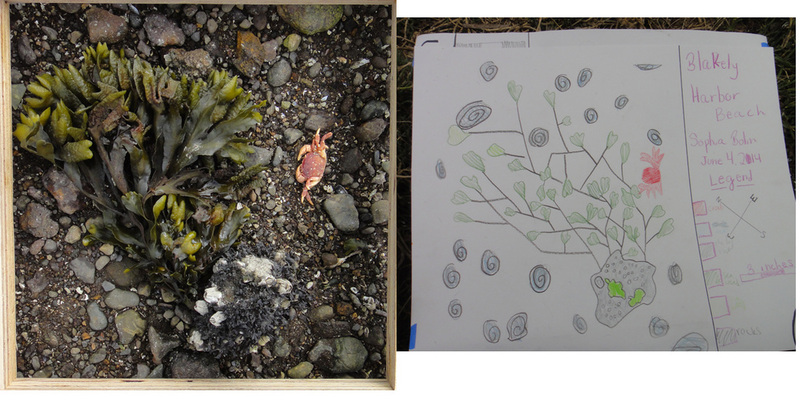 The visiting students that worked with me mapped the beach at historical Blakely Harbor. 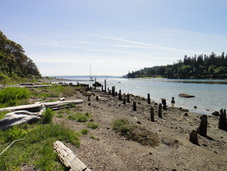 Twenty one 6th graders and four instructors from the French American School of Puget Sound explored the geological history of Washington state with me. 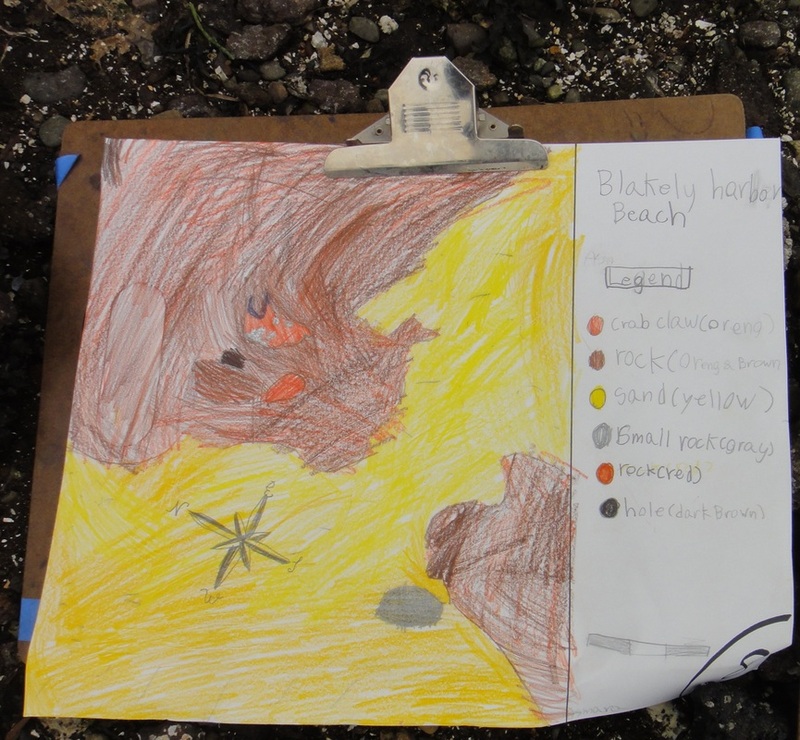 From the wild Pacific coast to the spectacular volcanic landscapes of the Columbia river plateau, the students discovered the processes that form and modify beaches, rivers, fossil deposits, mountains, volcanoes and glaciers through time. 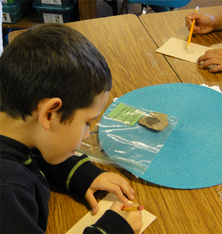 In the field, through observations of rock outcrops, collection of samples and challenging questions, these adventurous students learned how to decipher the geological story of our state. "The Art of Scientific Illustration"
"Submarine Volcanoes of the N.E. 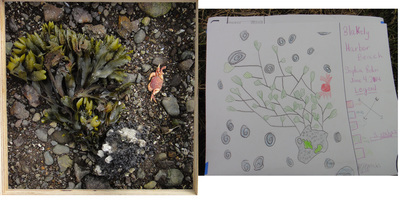 Pacific Ocean"
"A Sense of Place: Visual Exploration"
"Symbiosis of Arts and Sciences"